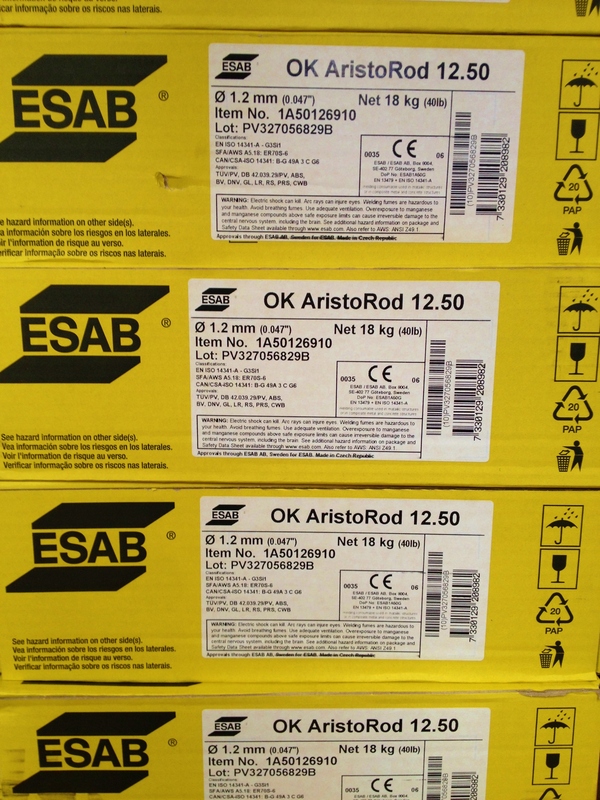 We stock 1.0mm and 1.2mm ESAB OK AristoRod 12.50 MIG Welding Wire, the best in the world. 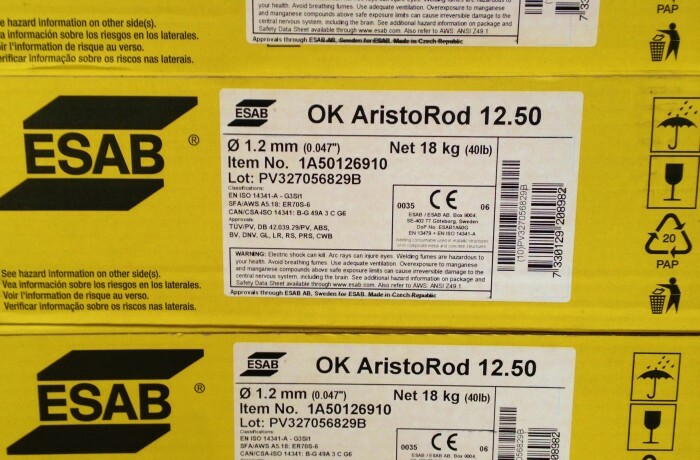 "OK AristoRod™ 12.50 is a bare Mn-Si-alloyed G3Si1/ER70S-6 solid wire for the GMAW of non-alloyed steels, as used in general construction, automotive components, pressure vessel fabrication and shipbuilding. OK AristoRod™ 12.50 is treated with ESAB’s unique Advanced Surface Characteristics (ASC) technology, taking MAG welding operations to new levels of performance and all-round efficiency, especially in robotic and mechanised welding. Characteristic features include excellent start properties; trouble-free feeding at high wire speeds and lengthy feed distances; a very stable arc at high welding currents; extremely low levels of spatter; low fume emission; reduced contact tip wear and improved protection against corrosion of the wire." Get in contact for a competitive quote and to learn more.